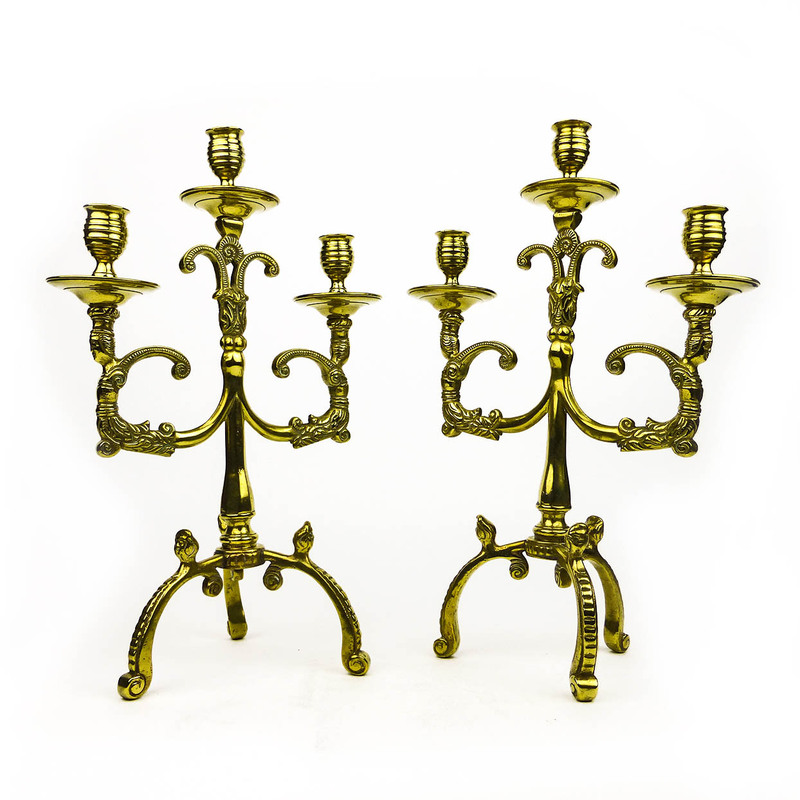 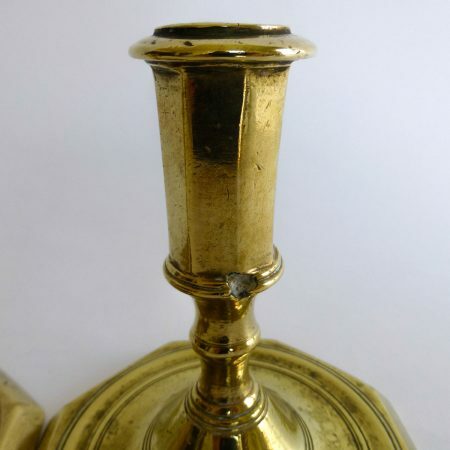 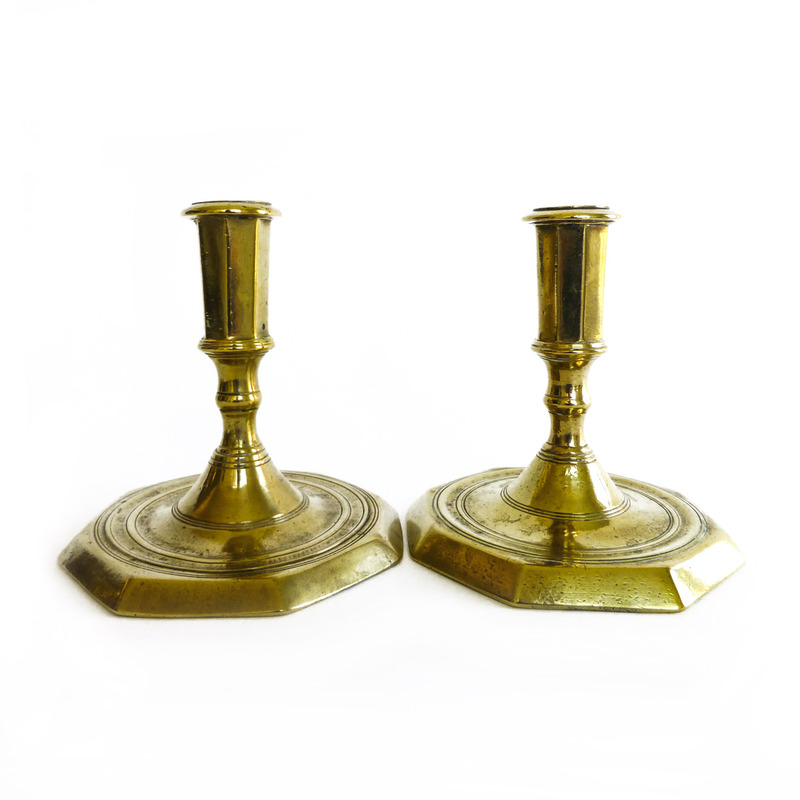 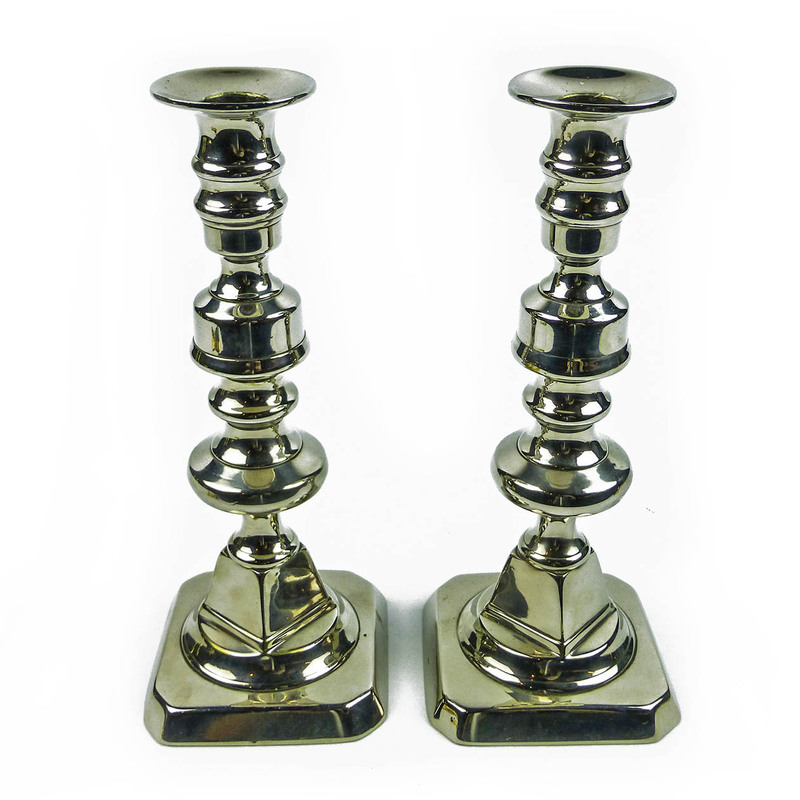 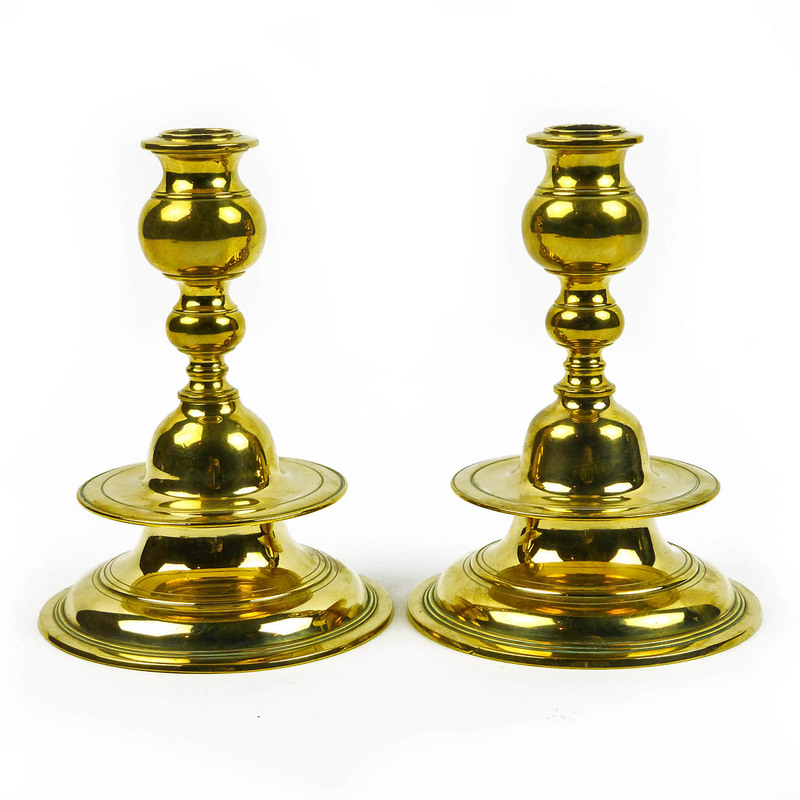 Pair of Rare Danish Late 17th Century Brass Candlesticks. 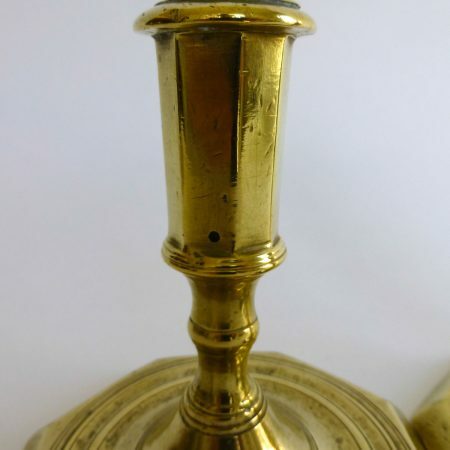 Wide Threads. 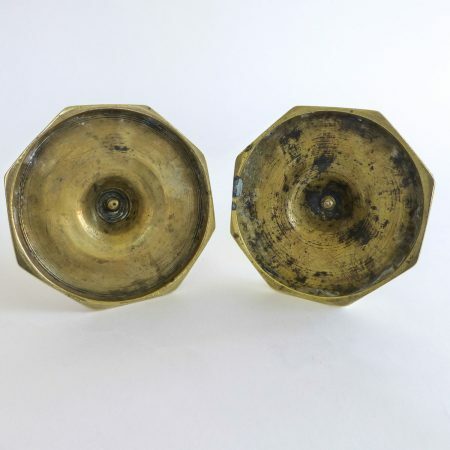 Core Pin. Incised Line Decoration.